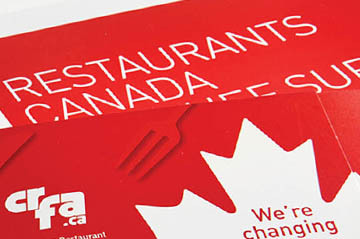 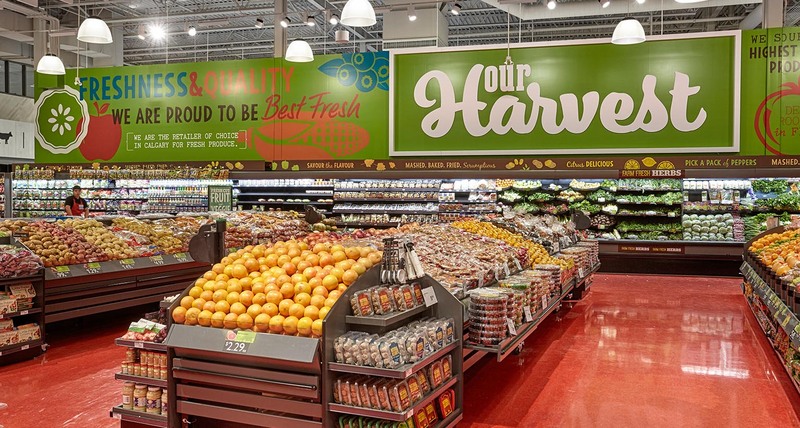 A strong performer in the supermarket sector in Calgary, the chain's success was being challenged by new and existing competitors, including Loblaws, the consolidation of Safeway by Sobeys, and the new Save-On Foods. 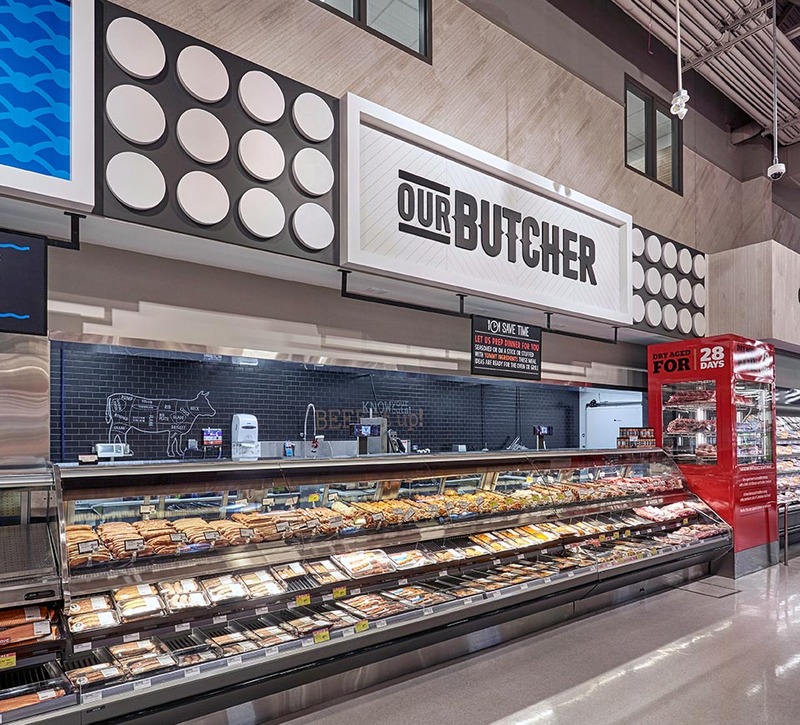 Through the leadership of Chief Executive Officer Ken Keelor, Calgary Co-op embarked on a new position and store design to leverage what differentiated the retailer from its competition. 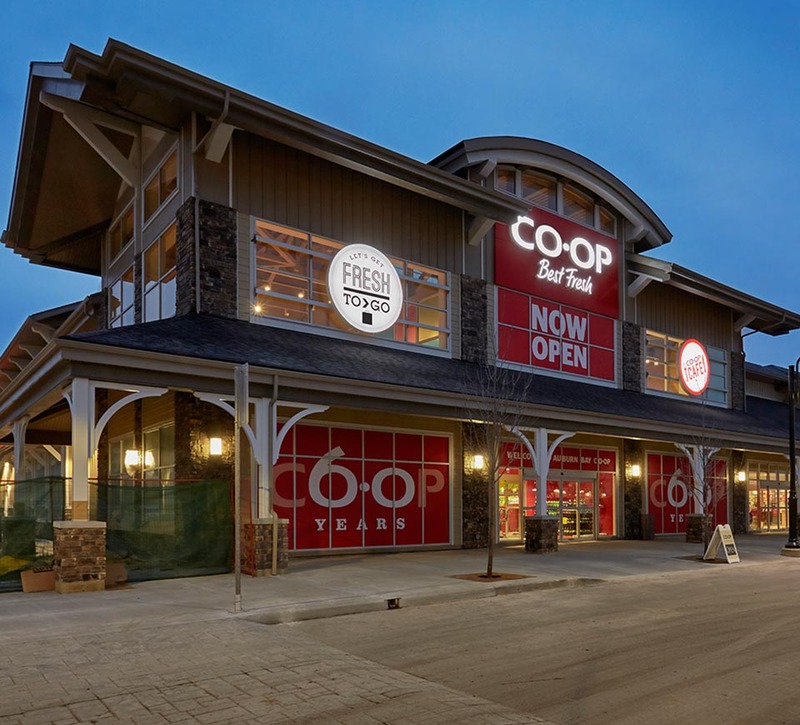 Calgary Co-op was the first supermarket located in the region and now boasts more than 440,000 members and 3,700 employees. 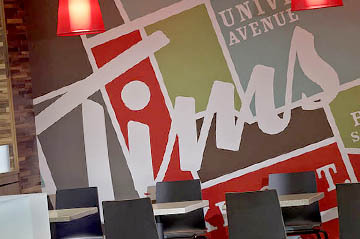 Member refunds totaled $34.6 million in fiscal 2014; $10.6 million in share equity and $24 million in cash. 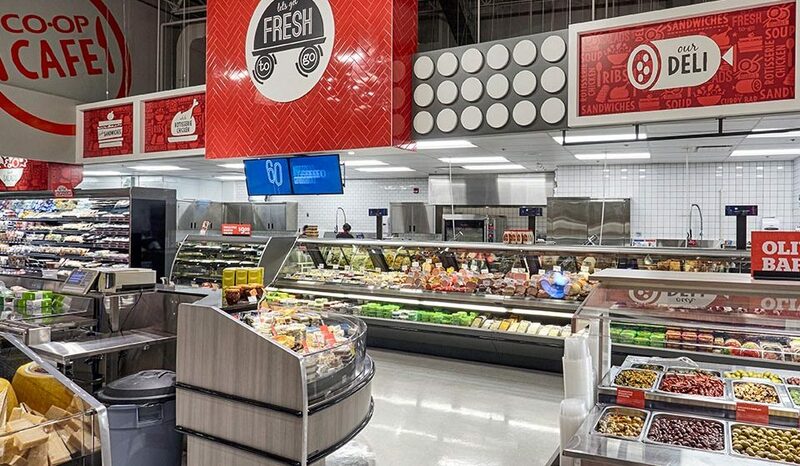 The company has 24 food centers, 28 gas bars, 24 liquor locations, eight travel offices and two home healthcare operations. 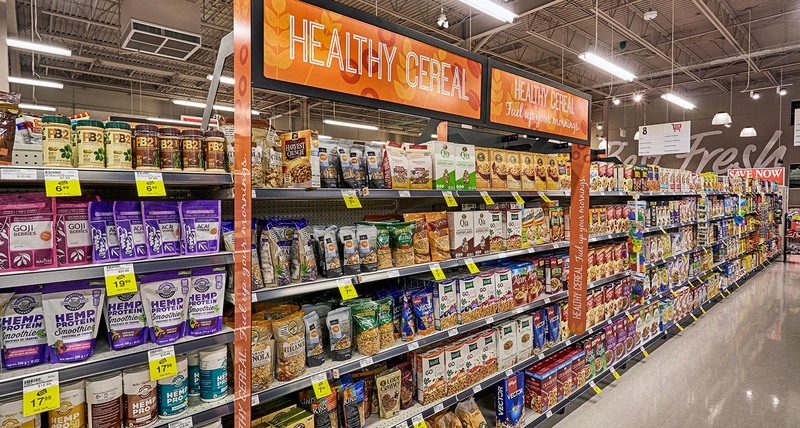 In an effort to remain relevant to the growing Millennial population and to better reflect its new position, Calgary Co-op retained Shikatani Lacroix to develop a store of the future for its Auburn Bay community. 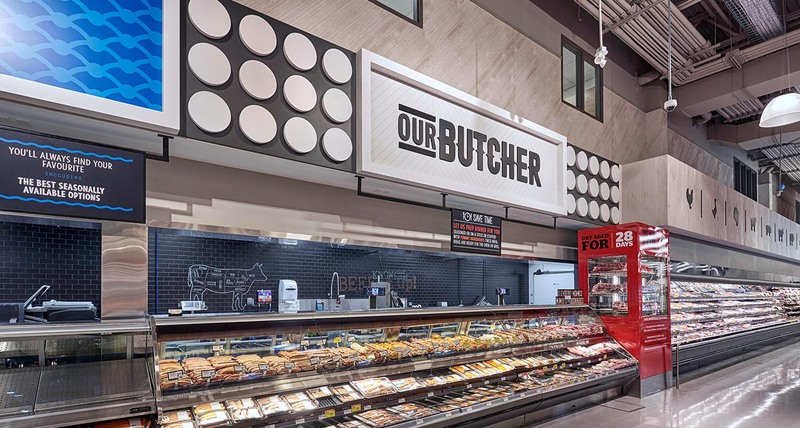 The Calgary market remains a fast-paced environment with new supermarket concepts being launched to capitalize on the growth of the various communities. 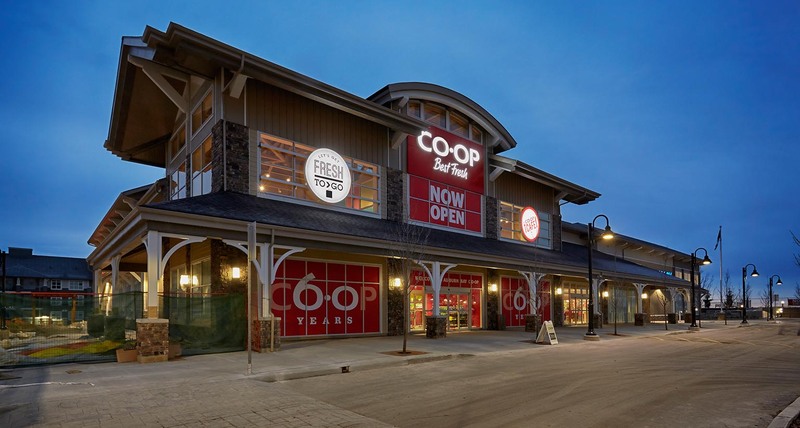 Calgary Co-op had launched a new store design several years prior that was contemporary but lacked a strong link to a differentiated position. 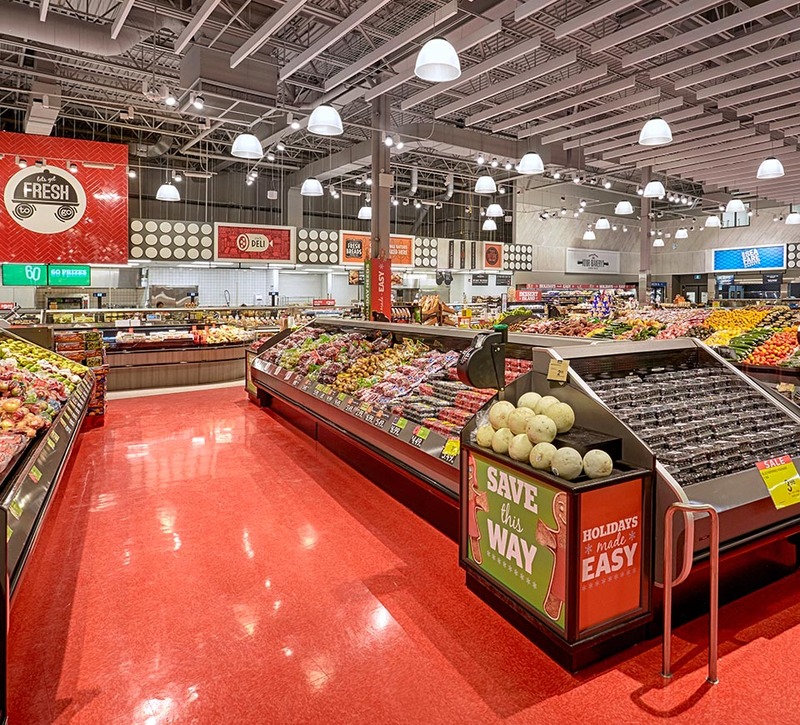 Site visits conducted by our firm clearly identified a gap in the marketplace that effectively reinforced the fact Calgary Co-op was the first supermarket chain, and more importantly was the only locally-based player, within the sector. 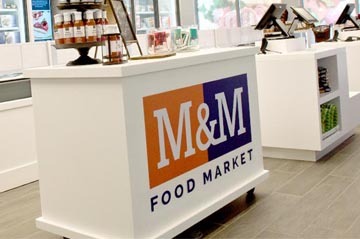 The organization underwent a repositioning program lead by Level5’s Ian Madell, which created a clearer value proposition and personality. 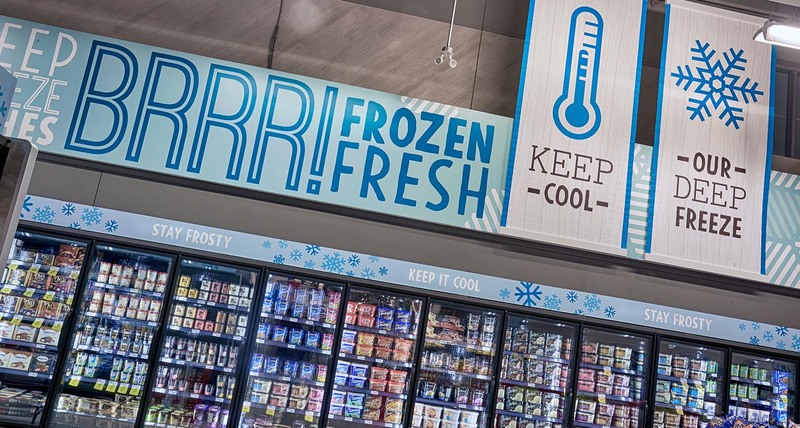 SLD was retained to personify the new position as part of a customer retail experience that was more immersive and spoke to the fun emotional needs of customers who live hectic lives. 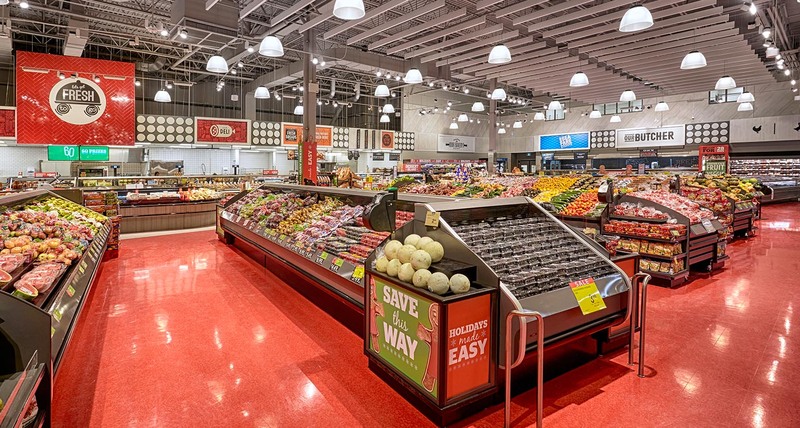 A key secondary challenge was the fact the Auburn Bay store had already been designed and was in permitting mode. 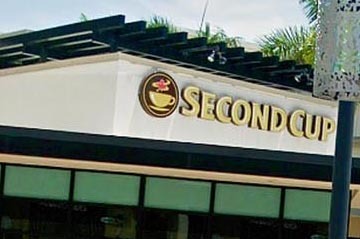 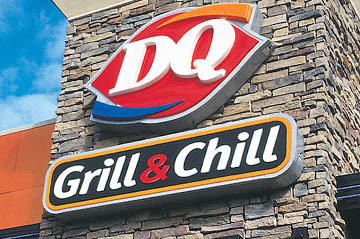 The process of getting the concept and drawings finalized was critical if the store was to retain its existing opening date. 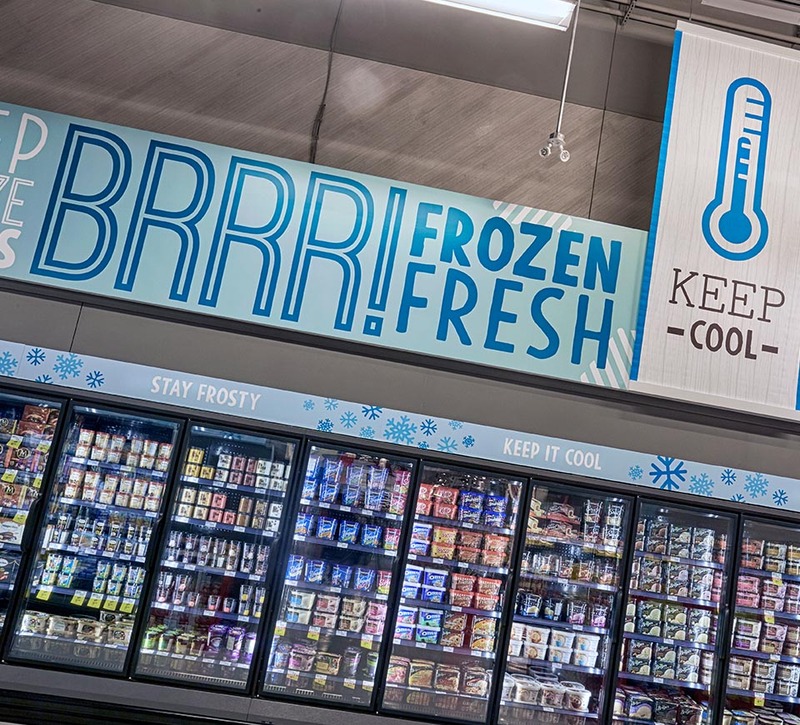 The project followed our ThinkBlink process where we identified areas of opportunity to create more immersive customer experiences while effectively communicating the new brand personality. 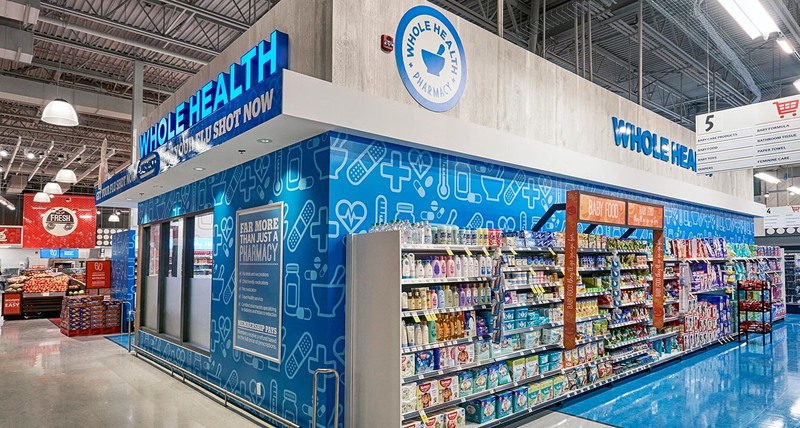 The define phase consisted of a thorough review of the competitive marketplace including store audits. 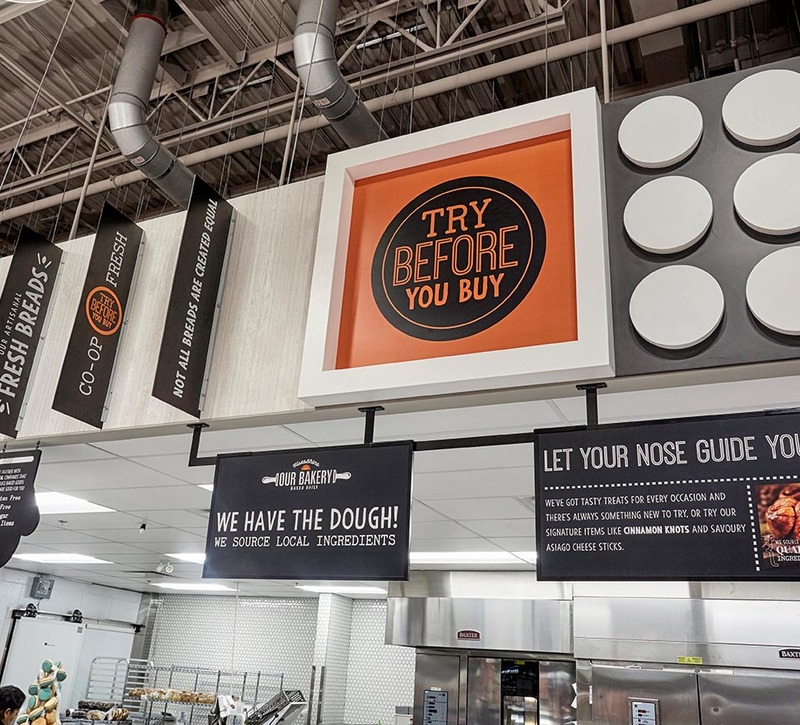 Our firm also conducted trend reports to determine areas of opportunity that could be leveraged as part of the design exploration process. 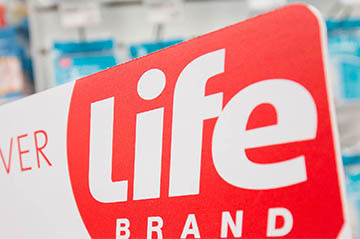 A thorough forensic review of all pertinent category, sales and consumer research was undertaken and resulted in a comprehensive opportunity report. 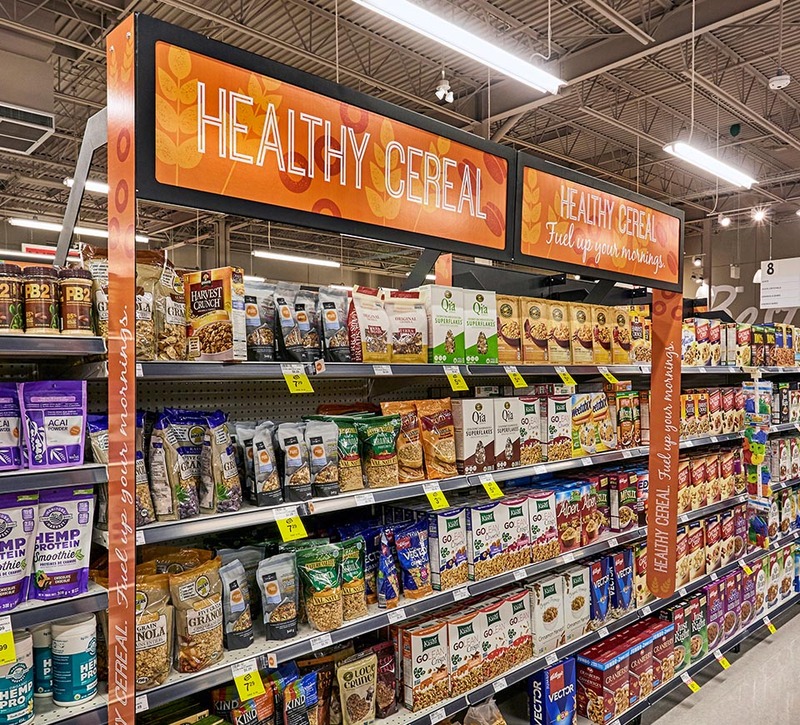 “The idea was for Shikatani Lacroix to work on an ‘evolution’ of our store look from where we [were then], to making it more contemporary, fun, interesting, light, bright and distinctive,” said Ken Keelor, CEO of Calgary Co-op. 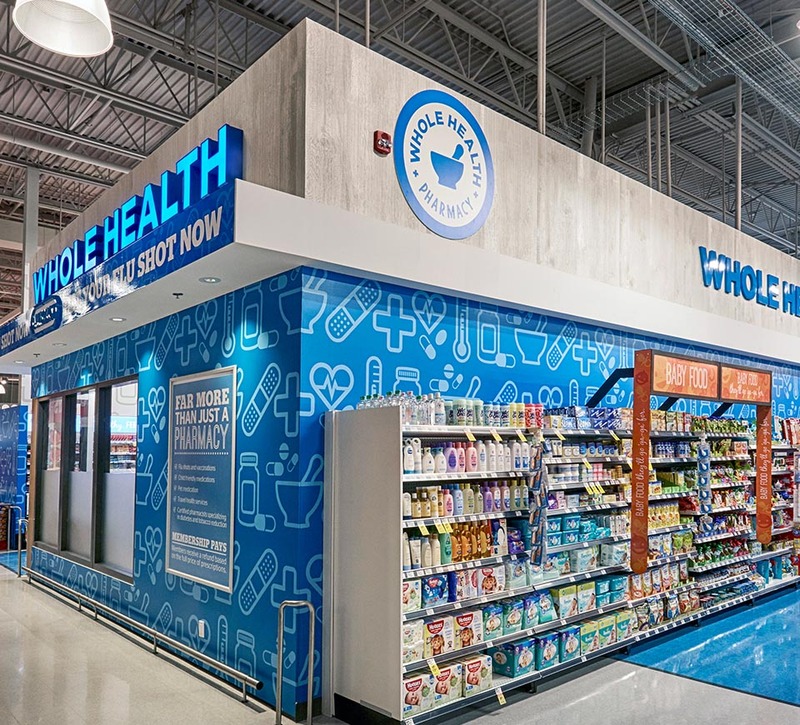 The design stage explored different floor plans, department layouts, exterior and interior signing, overall décor and store personality, in addition to key merchandising areas. 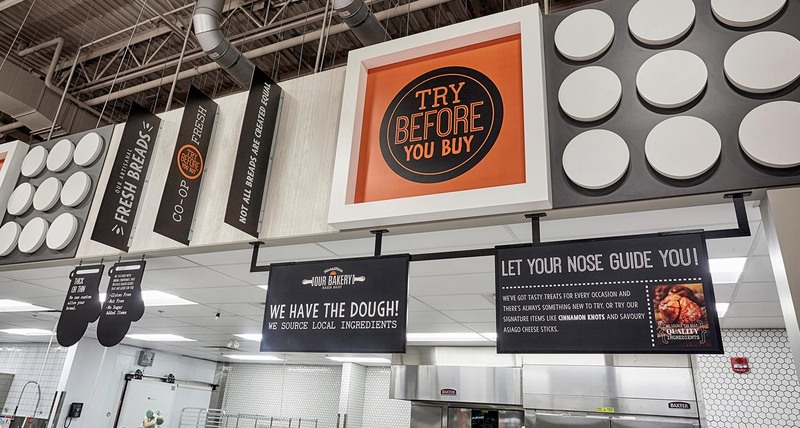 The process was iterative and collaborative and involved several workshops and presentations, resulting in a final design that both supported the sales growth objectives, cost of facility and reinforcement of the new brand position. 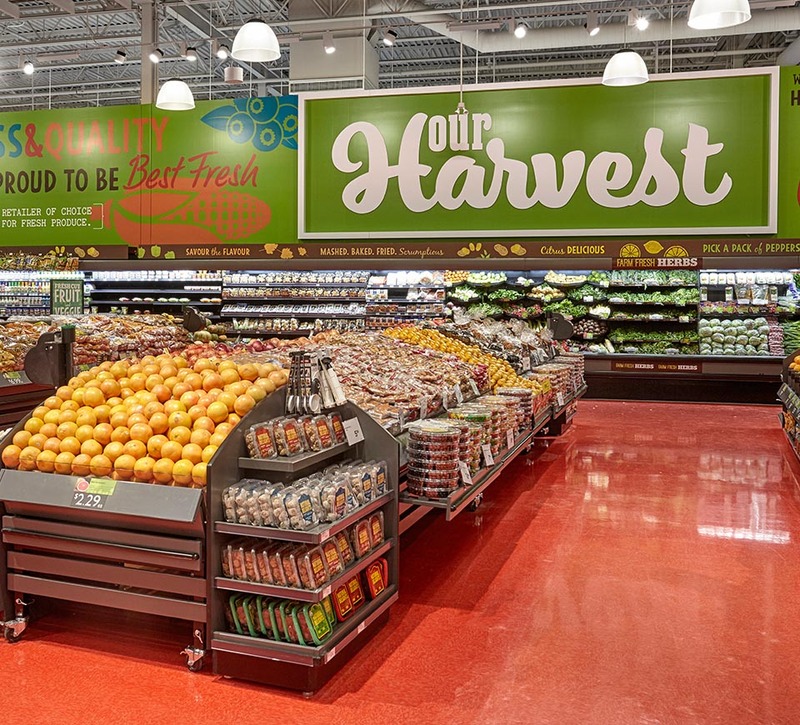 With the approval of an overall design direction, SLD applied the concept to the Auburn Bay store location including store signing, fixture design, departmental design, and overall décor and finishes.